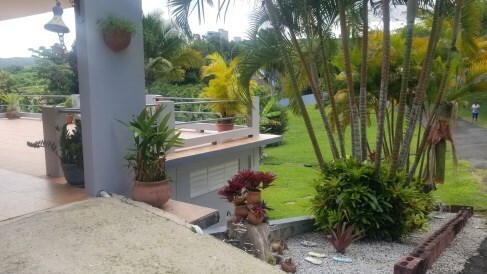 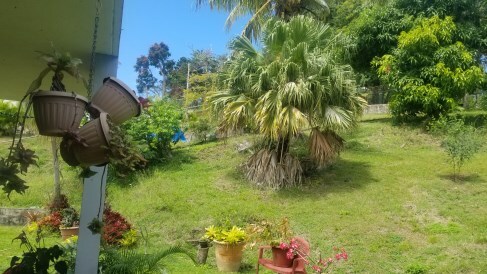 Between the beach and El Yunque, 4 bedrooms and 3 bathrooms. 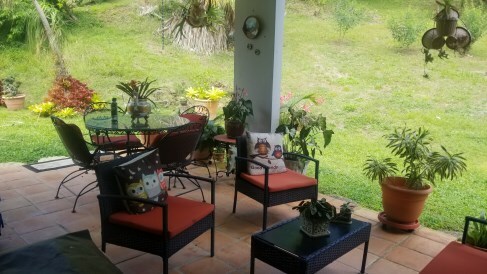 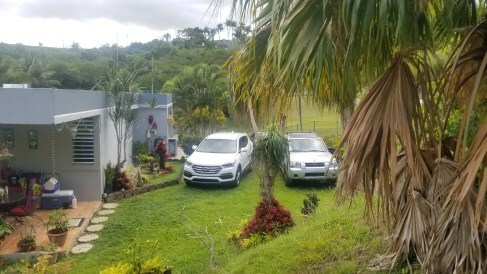 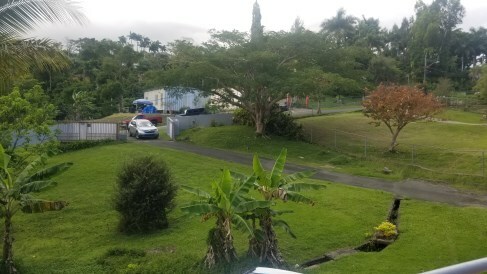 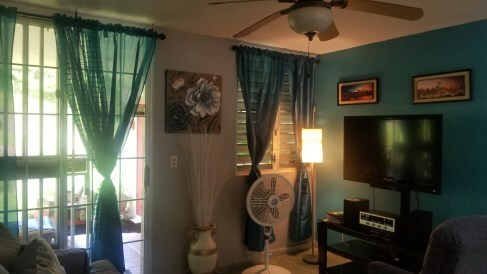 Colinas is a peaceful area, cool and quiet, close to the main roads, 10 minutes from the beach, with a beautiful view of El Yunque, complemented by the splendor of the town of Luquillo. 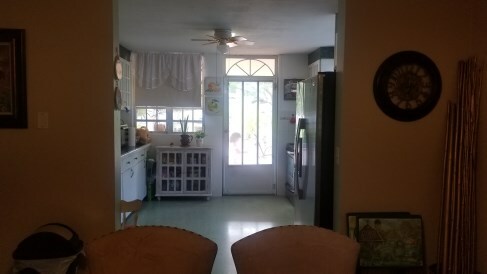 The first level is composed of a double garage, an access door, and storage area. 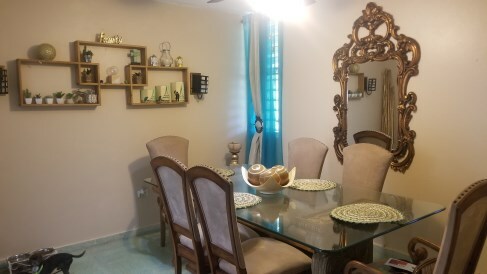 It also includes an apartment of 1 room with air conditioning, living room, dining room, and 1 bathroom. 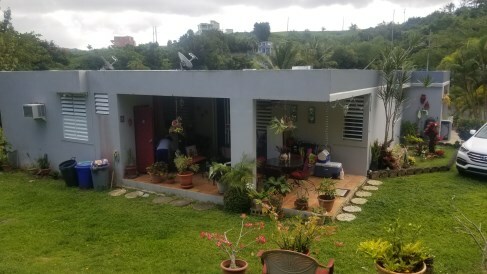 In the second level, it has carports, great terraces, one of them open, and in the back also in concrete, ideal for activities. 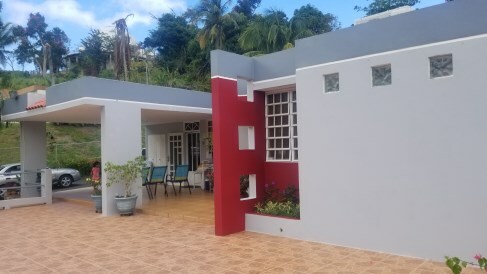 The property has very spacious areas, fully equipped kitchen with fridge, oven, and extractor. 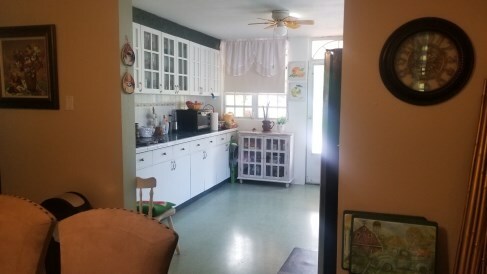 Dining room and family. 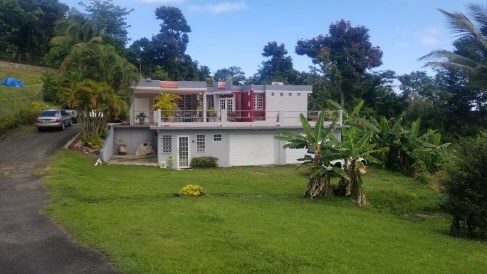 3 bedrooms and two bathrooms. 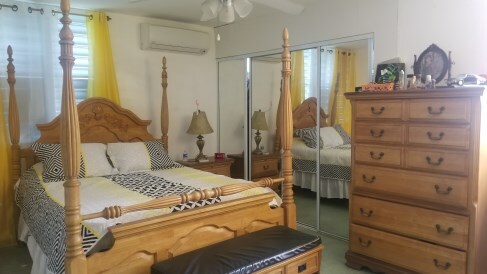 Master has an air unit and one of the rooms with a window air conditioner. 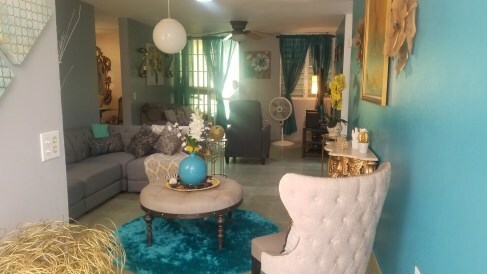 Featuring 2,305.24 square meters. 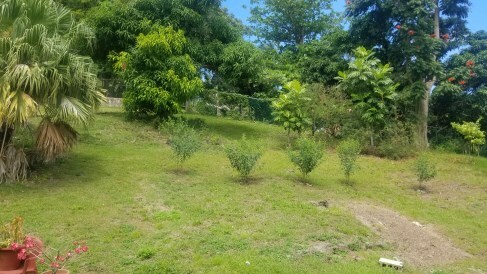 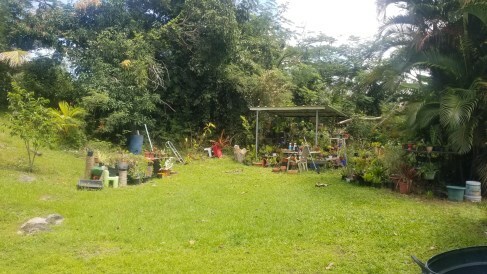 Avocado trees starfruit, heart fruit, soursop, coconut, tropical cherry, pirua, guava, banana, plantains, slackers, recao, and papaya.